Thank you for your interest in tea. There are no longer any available reservations for the seating. Please consider coming to our earlier seating at 11:30 and book a reservation for that time. Use this link to reserve a seat at the 11:30 seating. Reservation for the seating at 12:45pm on Saturday, April 29. 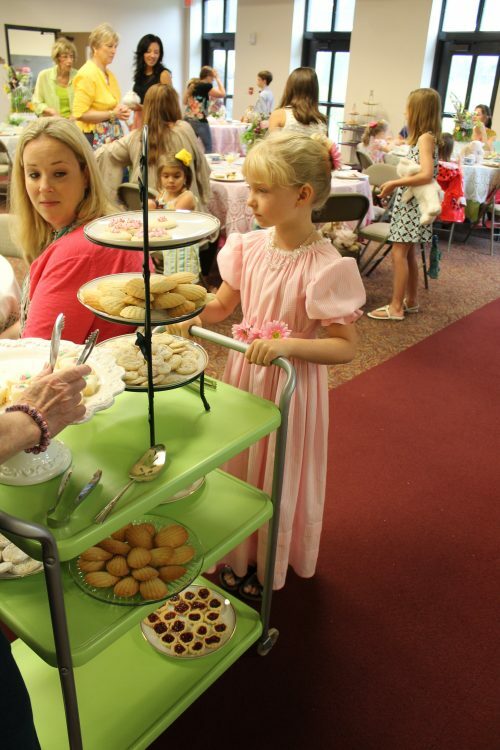 Three-course afternoon tea will be catered by KitchenAble, in the Parish Hall of Saint Peter’s Anglican Church (check in by the Book Cellar). Enjoy this meal with our signature blend of Saint Peter’s tea. The first course will include a collection of dainty finger sandwiches with flavors that include Cucumber with Basil Butter, English Cheddar Pate, Curried Pineapple Cream, and Smoked Salmon with Dill. Second course will include fresh baked sunshine scones, Jessica’s signature recipe, with Kumquat Curd, and Clotted Cream as available toppings. Finally choose a trio of miniature desserts from our treat cart. Assortment will include options like: jam tarts, handmade chocolates, dainty cupcakes, petit fours, shortbread, and specialty cookies. Advance Reservations are recommended seating is limited. Cost of the tea is $20 per person (including tax).